Ireland Lacrosse is pleased to announce updates to its 2018 National Team coaching staff that will lead Ireland in the Federation of International Lacrosse (FIL) World Championships (Netanya, Israel, 12-21 July 2018). 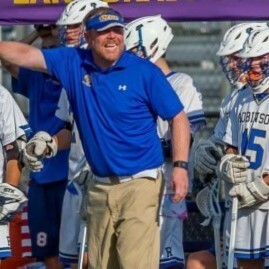 Matt Curran, Head Lacrosse Coach at Robinson Secondary School in Fairfax, Virginia (USA) has been appointed as Ireland’s Head Coach. Coach Curran served as the National Team’s Offensive Coordinator at the 2016 European Championship. Curran replaces Chris Arnold who has stepped down secondary to work responsibilities. Coach Curran will be assisted by Associate Head Coach Jeremy Platt, Head Coach at Kingwood High School in Texas (USA), Sean Bodie, Head Coach at University College Dublin (UCD) (Ireland) and Don Preston, Head Coach at Ballard High School, Seattle, Washington (USA). Equipment Donations for Development of Lacrosse in Ireland! Hello. We are looking for our son to play lacrosse combined with with an internship. My son Austin Strazzulla plays Division I lacrosse for Saint Joseph University in Philadelphia Pennsylvania are there any internships available this summer 2018? Thank you it is very anxious to hear more information.